This page contains latest news on Bristol Yoga Centre. Information such as updates on Yoga and Pilates timetable, classes, workshops, courses and our teachers will be available here. Everyone’s very welcome but we especially invite people on low or no-income, benefits, refugees and asylum seekers. Classes are suitable for all levels of students including beginners. Donation from the Mindfulness Meditation and Yoga class on Wednesday goes to Bristol Mind charity. For information about the class, please get in touch with the teacher directly. We look forward to having you in class! I have really enjoyed Vicky's teaching style and her enthusiasm for Yoga is quite inspiring. My previous experience with Yoga had brought some results, it was more focused on technique, the class wasn’t very supportive, it seemed quite mechanical, didn’t really connect breath with the movements and I quickly became disinterested and uninspired. Vicky's sessions are completely different, from the very beginning I was welcomed into her classes. She explains the reasons behind the movements, helpful tips to connect body and breathe and is very encouraging to everyone in the class. She strikes a really good balance between working hard at getting good posture, and also enjoying the session. Vicky teaches Krama Vinyasa Tantra yoga (Kramic technique is also known as step-by step approach) suitable for all levels of students including beginners. In these classes, students will be encouraged to explore and gradually expand their edges in a integrated and fun manner working with asana, pranayama and relaxation techniques. Shuna’s Wednesday morning yoga class is moving to an earlier time so that you can have more time to get to work. From 3rd April 2019, it will start at 7:00 - 8:00am and the class is called Dynamic Core Yoga. It’s designed for those of you that are at a desk bound for most of the day. Start your morning reprogramming those postural habits of hunching with the back, straining your neck and shoulders by conditioning your core and spine. Inspired by the principles of Forrest yoga, developed over 40 years by Ana Forrest, this style of yoga is specifically designed to address your core and the physical and emotional stresses and challenges that we face in our modern lives. Consistency is key to feeling and seeing those core muscles develop over the spring and summer. We are starting a new Sunday evening Yin yoga class from 17th March from 6:30 - 7:30pm with Tash. Yin is the passive, cooler, reflective and relaxed. The yin way is a gentle and surprisingly powerful method to invoke change in both body and mind. This class offers a unique way of practicing that seeks to embrace stillness and relaxation. Rather than moving dynamically, postures are mostly rooted in the ground, removing all physical effort for the student. The removal of effort allows us to unpin our connective tissue (fascia) that holds our body in place and defines our physical shape. It’s accessible to all ages, body types and levels of experience. Tash also teaches more dynamic Yin and Yang class on Sunday from 5:00 - 6:15pm every week. Shuna’s teaching is clear, accessible and entirely focused on creating a safe practice space where you can immerse yourself into your body. All classes offer a balance of strength, flexibility, energetics and deep relaxation to quiet your mind. Modifications are offered throughout the sequences and students are encouraged to develop curiosity about what feels good for their body. Everyone is welcome and it’s also available on MoveGB. A new tailored therapeutic yoga class suitable for anyone working with injury, pain, anxiety and/or depression, or anyone who feels the desire to do a gentle nurturing Yoga practice. The class includes awareness practices, restorative yoga, breath work and gentle movement to recalibrate and ease. Leonora is a very experienced and attentive yoga teacher and you will be taught in a small group so that you can receive maximum individual attention. This class is on every Tuesday from 10:00 - 11:00am. It’s suitable for all levels of students including beginners and those with more experience. You can drop in, join for the term or purchase 5 class pack in the studio. For more information see our price guide. A carefully crafted blend of Yoga, Pilates and awareness practices that focuses on creating a sustainable and longevous movement practice, building deep postural strength, increasing bone density, strengthening active range of motion, improving balance, coordination & proprioception skills as well as mental wellbeing. This class is intelligently designed to leave you feeling calm, grounded and centred, having a powerful effect on your energy systems building stability and mobility through asana, pranayama and deep relaxation. Each week we will focus on a theme varying from joints and body parts to working through chakras. Both classes are suitable for all students including beginners and it’s available on MoveGB and ClassPass. Bristol Yoga Centre is re-opening from Wednesday 2nd January but please check our timetable carefully as some classes are starting later. We are really happy to announce that Jemitra and Shuna are joining us from 2019. 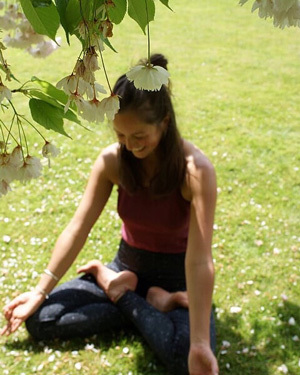 Jemitra is a senior yoga teacher who’s been practicing yoga for over 20 years and recently assisted in creating an excellent yoga teacher training course. She’s great at helping you to deepen your practice but can also accommodate beginners. Jemitra’s class is on every Wednesday at 7:30 - 8:45pm. Shuna completed 200 hour yoga alliance accredited teacher training with Dylan Ayaloo in London and specialised in a strengthening vinyasa yoga. She has subsequently completed further CPD trainings in Forrest Yoga and Mindfulness based meditation techniques. Shuna will be teaching on Wednesday at 7:45 - 8:45am and on Thursday at 4:45 - 5:45pm. You can join our classes as a drop in, term bookings or purchase our 5 class pack. See here for more information on our prices. We are also available on MoveGB and ClassPass. At Bristol Yoga Centre, we believe that classes should be accessible to everyone so we have introduced 4 donation based community yoga classes to our timetable. Suggested donation is £5 but you can pay what you can afford. No one will be turned away due to lack of funds. Everyone’s very welcome but we especially invite people on low or no-income, benefits, refugees and asylum seekers. Classes are suitable for all levels of students including beginners. Happy New Year 2019! We hope you have an amazing New Year.